Private land use restrictions are frequently found in planned community developments. Such restrictions may regulate the land use, as well as the size, location, quality, cost, and composition of the improvements constructed on the land. They may exist on both residential and commercial real property. So long as the restrictions are not against public policy and are imposed in an otherwise legal manner, an owner may restrict its property as it desires. However, restrictions may not limit the use or prevent the assignability of the property to any person on the basis of race, color, religion, or national origin. Additionally, state and federal law prohibits the use of restrictions to discriminate against persons with handicaps or disabilities. Any restriction which prohibits the use of the land is not enforceable. Restrictions may not require the use of wood shingles on residential properties. Restrictions are typically imposed on land by the owner through the use of signed and filed documents which may be referred to as deed restrictions; restrictive covenants, conditions and restrictions; easements; and servitudes. Instruments creating restrictions typically are for a limited duration and may provide for a mechanism to renew or extend them beyond the initial period. A restriction must contain an exact description of the land upon which the restriction is being imposed. Restrictions may terminate automatically or through a process set forth in the instrument. Courts have refused to enforce restrictions where substantial violations exist and such amount to an abandonment or waiver of the right to enforce them. However, the violations must be so great as to place the average person on notice of such abandonment or waiver. For example, where a subdivision may be restricted to only allow metal ornate fencing, but 75% of the lot owners have built wooden privacy fencing, and an abandonment or waiver of that particular restriction. The number, nature, and severity of the violation, prior acts of enforcement, and whether it is still reasonably possible to utilize the benefits intended by the restriction are factors which will be considered. Courts may not enforce restrictions where there has been a substantial change in the restricted property or the area surrounding the property such that enforcement of the restriction is no longer possible. Such change must be so drastic that the purpose of the restriction may no longer be achieved. Typically, this situation occurs when a long time residential neighborhood or area over the years becomes commercial in nature. However, the single factor that a lot may be more valuable as commercial does not necessarily entitle the owner to avoid residential use restrictions placed on the property. Additionally, an action for breach of a restrictive covenant may be barred by the four-year statute of limitations. The statute begins to run on the beach of the covenant. However, if the initial breach is so insubstantial or inconsequential that the purpose of the covenant may still be realized, the statute does not begin to run until the violation becomes significant. Government and other entities with the power of eminent domain may acquire property free of restrictive covenants through the eminent domain process. In utilizing such rights, the condemning authority may be required to pay compensation to other affected land owners for the removal of the restrictions. Sale of property for delinquent ad valorem taxes does not invalidate any restrictions on the land sold. Municipalities may enact zoning ordinances for the general welfare of the community. Such ordinances may not destroy or impair otherwise valid restrictive covenants. Where the restrictive covenant is less restrictive that the zoning ordinance, the zoning ordinance will govern the particular land use. Where the restrictive is more stringent than the zoning ordinance, the use must comply with restrictive covenant. For example, where an otherwise valid private restriction limits the use of property for residential purposes, but the property is thereafter zoned commercial, the restriction will be enforced limiting the use of the property for residential purposes. Zoning ordinances may not enlarge private restrictions. For residential restrictions, there may be state statutes which govern the applicability, enforceability, and extension of the restrictions based upon the population of the County and/or the municipality in which the land is located. In the situations, care should be taken that the appropriate statutes are reviewed. Chapter 202 of the Texas Property Code governs the construction and enforcement of restrictive covenants. Chapter 209 of the Texas Property Code deals with residential restrictions which authorize a property owner’s association to collect assessments and impose liens against property within a subdivision. Section 5.006(a) of the Texas Property Code requires a court to award reasonable attorney’s fees to a prevailing Plaintiff for a breach of a restrictive covenant. Good article. Do the same terms apply to deed restrictions on a larger plot of land as when attached to a subdivided plat? 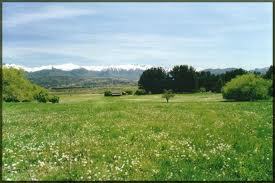 Such as 65 acres that you are selling but wish to remain agricultural or residential. The size of the acreage restricted typically doesn’t matter. However, care must be taken to ensure that the property is not so restricted that it doesn’t allow any feasible uses or negatively affects the value of the property.